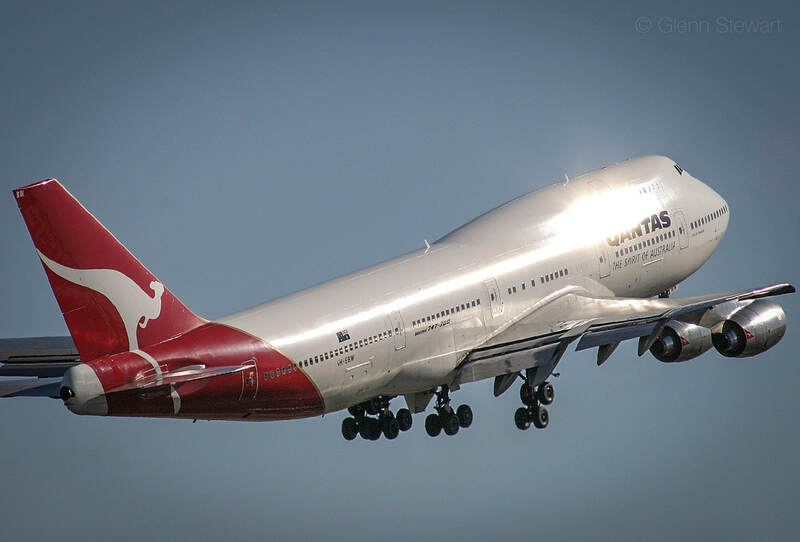 In 1985 Qantas Airlines ordered this Boeing 747-338. On April 9th 1986 VH-EBW had its first revenue flight. 22 years later, the pax flight for Qantas took place from Los Angeles via Auckland to Melbourne. In 2014, it had its last flight as N176SG from Johannesburg to Kemble UK in top operative conditons. Since the aircraft could not find a buyer, it was scrapped in January 2016. For us this was a lucky moment, since we have been searching for a suitable 747-classic cockpit for more than two years. In October 2015 we saw the fully intact aircraft the first time and on January 6th 2016 for the cut of the cockpit. 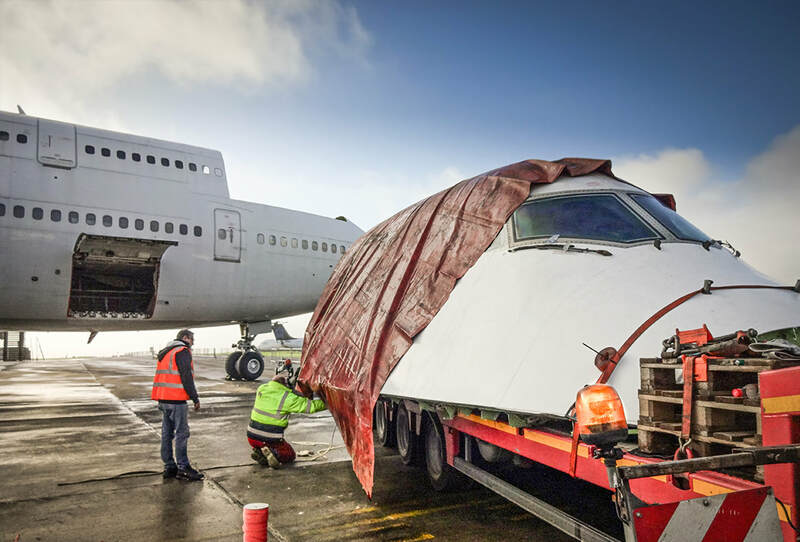 It just took a few days on the low bed trailer to truck the oversize load to the Airforce Center Duebendorf near Zurich to convert it to an authentic flight simulator. Since February 2018 the 747 VH-EBW is ready again to serve. After 18 month and thousands of hours conversion work, everybody can book it for can for casual flights or team events. 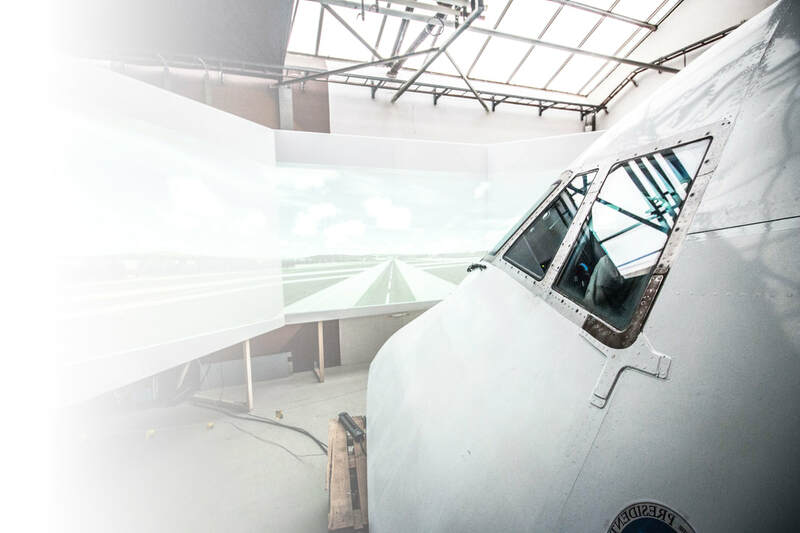 The SimCenter also offers a Boeing 737-200 simulator and two Mirage III fighter jet simulators, all from real aircrafts. Also a very authentic FA-18 mock-up serves as a simulator. The SimCenter is an ideal platform for pleasure and events. Experience the 747 Jumbo-Jet yourself! Take a flight with this 747 which served the skies for 22 years. A former 747 pilot will be guiding you through the major steps to fly the queen of the skies to any place you like.